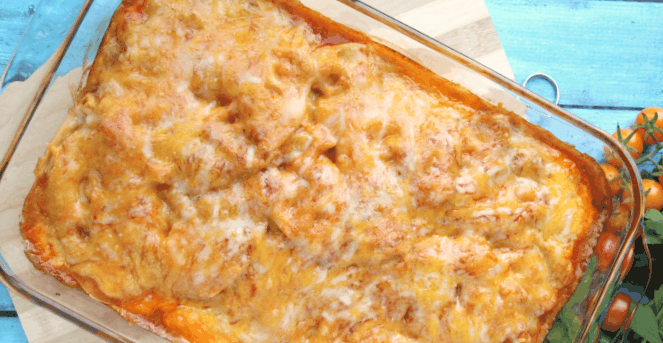 Cinco de Mayo Recipe – Chicken Enchilada Bake! A few years ago we posted this delicious chicken enchilada recipe on Friday May 4th for Cinco de Mayo on Saturday. Here we are again with the same days/dates so we thought we’d give this perfect Cinco de Mayo recipe another boost! If you are looking to celebrate Cinco de Mayo, or just have an appropriately-themed meal, this Chicken Enchilada Bake might be just the thing! See the full recipe here. And Happy Cinco de Mayo everyone! Want a plan for easy, delicious recipes like this every week? Give The Dinner Daily a try! Sign up for a FREE two-week trial of The Dinner Daily. You’ll get full access to our menus, recipes and a weekly shopping list, making dinner time stress-free. It takes all the guesswork out of meal planning and save you money too! Highly Recommend!